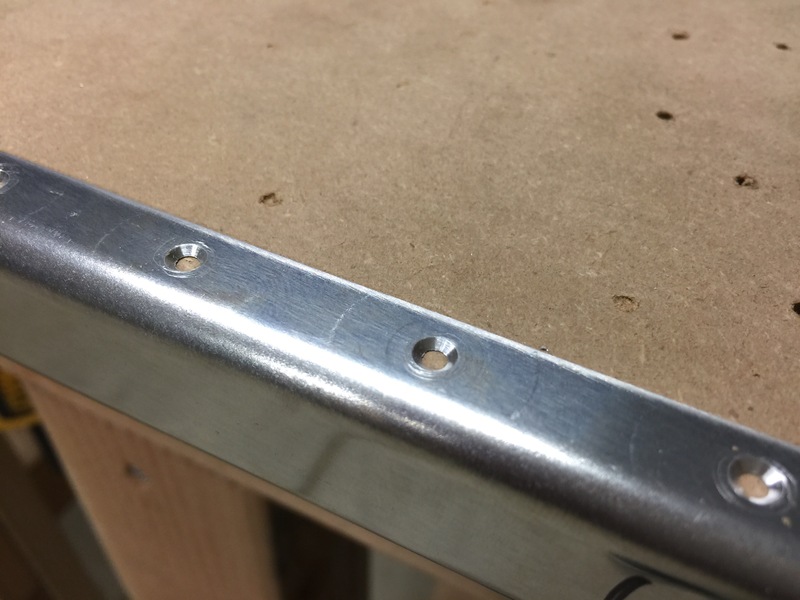 Today I spent a couple hours prepping all the holes for riveting the elevators. I started out with countersinking the required parts for flush rivets, the spars and the left elevator rear spar. I also countersunk the two counterweights. Here’s the rear spar countersunk. After I finished countersinking I dimpled the rest of the holes of the skeleton and skins in prep for priming. Spent about 2 hours total tonight.